When I was younger, one of my absolute favorite books was called “From the Mixed-Up Files of Mrs. Basil E. Frankweiler”. It outlines two children who take up residence at the Metropolitan Museum of Art. Claudia Kincaid is almost twelve, a straight “A” student, only girl and eldest child of four, who decides to run away to somewhere beautiful, comfortable, and preferably indoors. She brings her brother Jamie along and they use the public restrooms by day and snuggle up to their favorite statues by night. I have always imagined sneaking into a museum and living amongst the tapestries and tea gardens! Certain stores also fill me with a sense of yearning – to sleep in the confines of a small boutique, covered in fashion, design, and beauty! 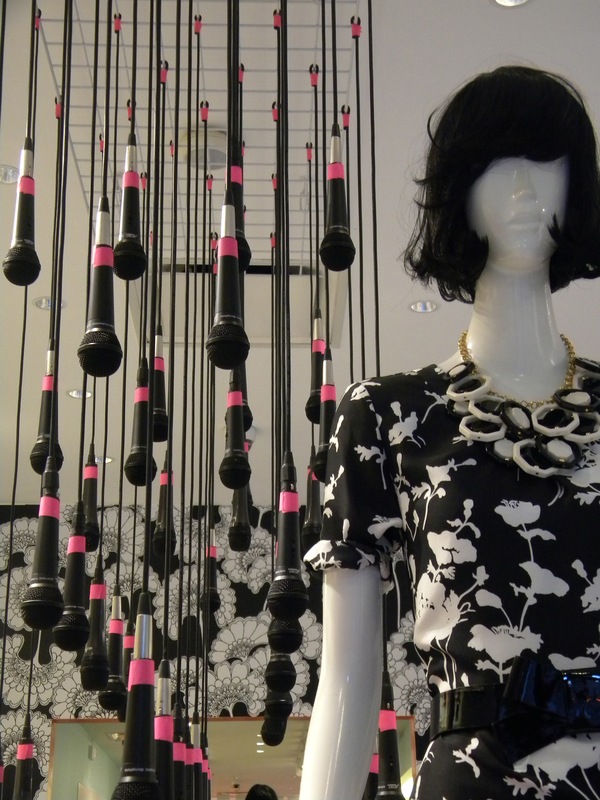 Case in Point: Kate Spade, replete with floral walls, microphones hanging from the ceiling, faux tour posters, drum kits, matchboxes, colored extension cords, and rococo ottomans! (The best part? 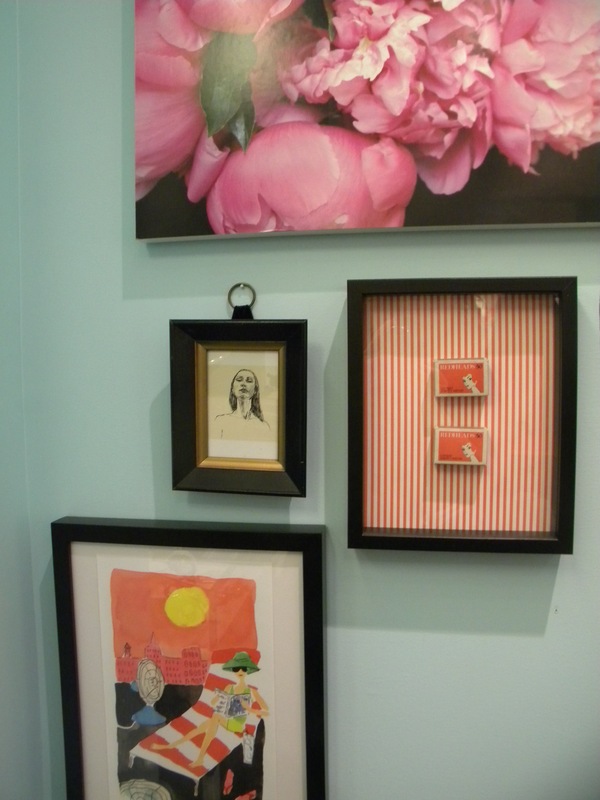 You can buy much of the interior decor HERE, even down to the wallpaper used in-store.) 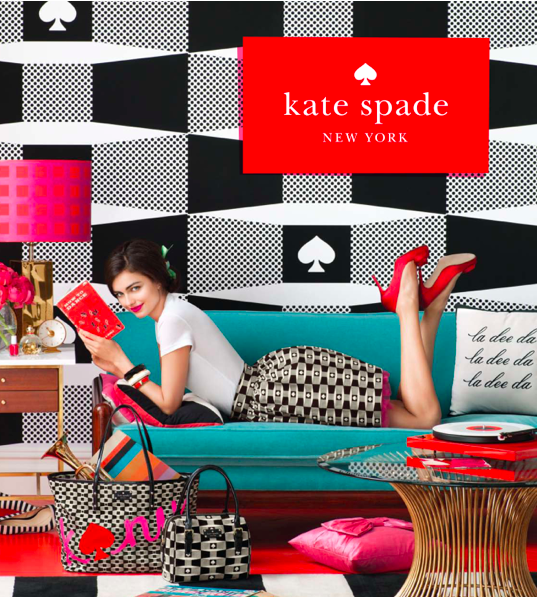 Kate Spade’s new motto is “Live Colorfully”. 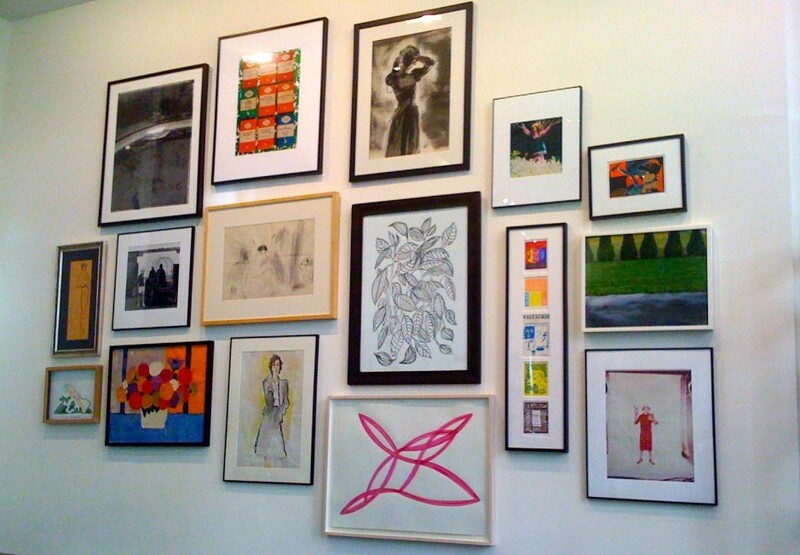 The Spade aesthetic relies on bright, bold, and geometric shapes. Color is always accented with black. Punky meets Preppy! 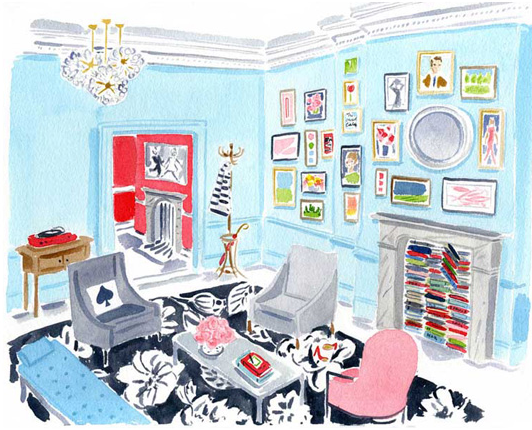 A sketch of the Kate Spade store on Fifth Avenue in NYC by Caitlin McGauley – who also designs some stationery and iPhone cases for the brand. 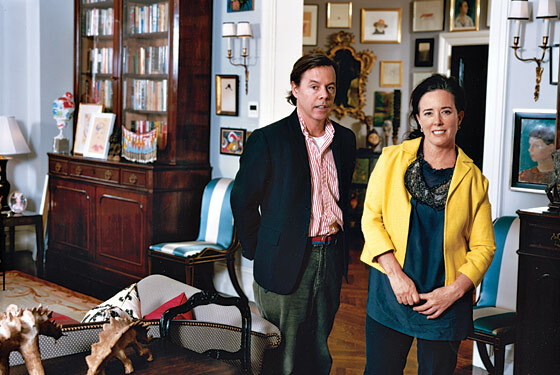 Kate Brosnahan Spade (born Katherine Noel Brosnahan; December 24, 1962) is the namesake designer of the brand Kate Spade. 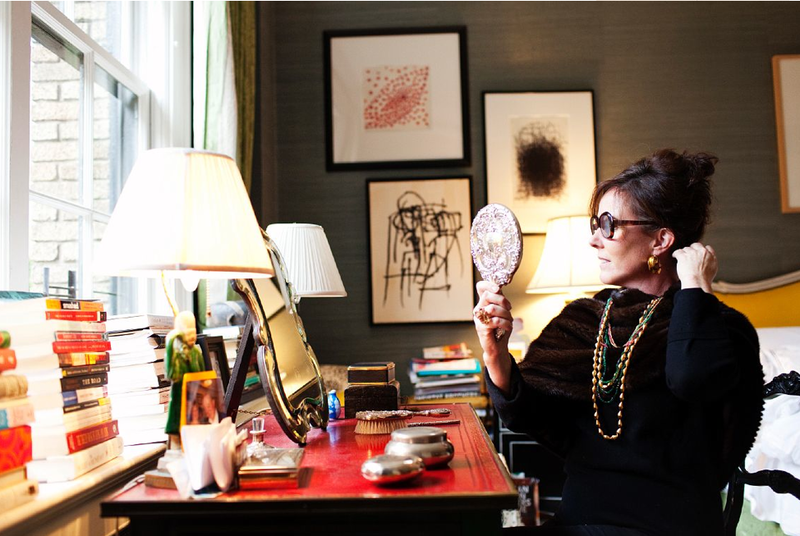 Although most known her for her boxy handbags, bow accents, and bright stationery, Spade has won numerous awards for her bedding and linens, as well as interior design. 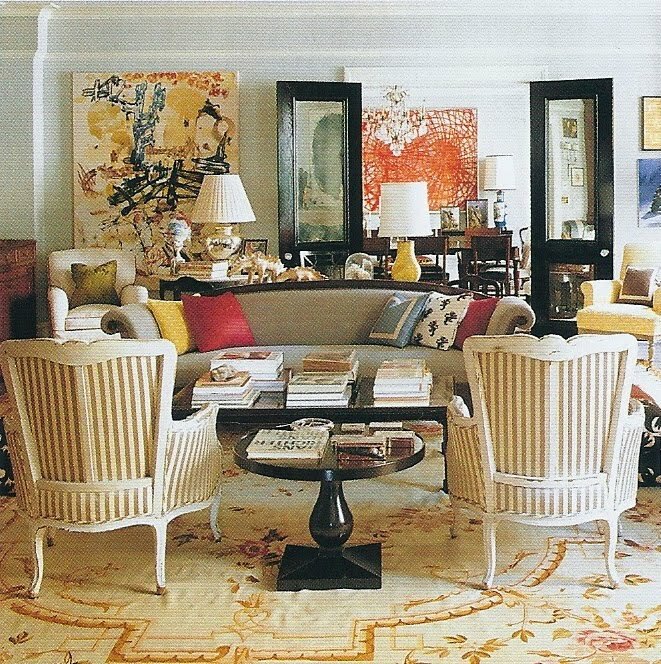 Kate’s interior designer, Steven Sclaroff, mixes his own style with Kate and Andy’s finds. Andy is Kate’s college sweetheart, they first decided to move in together while she was working at Mademoiselle. Andy is David Spade’s brother, but also a designer, advertiser, and publisher! They are long toted as one of the most creative power couples of the 20th century. 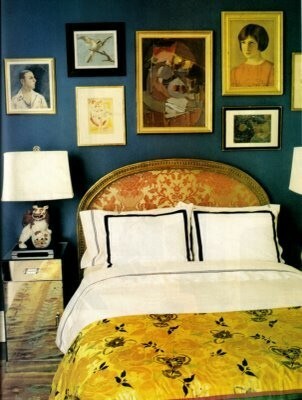 The Spade’s Guest Room and Living Areas, as seen in Town & Country a few years ago. 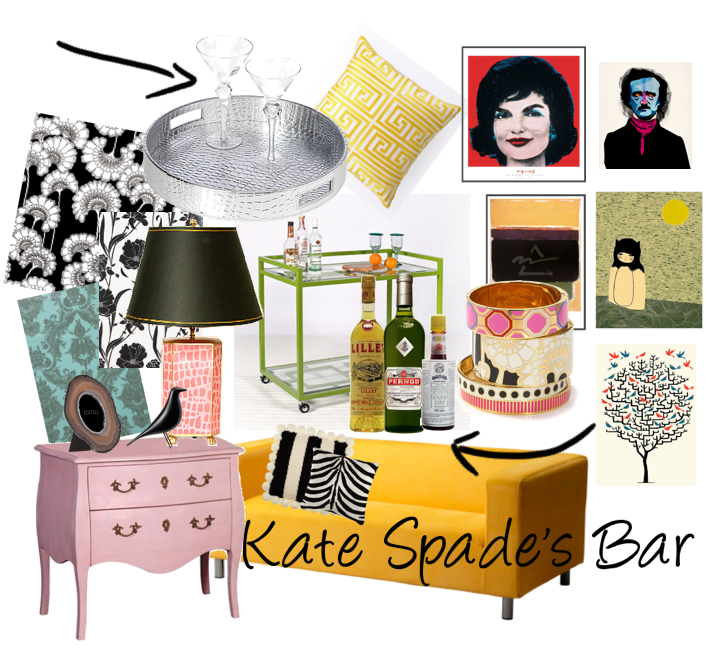 Note the gallery style art placement and copiously stacked coffee table books that also play a part in many of Kate Spade’s boutique stores. Details of the home provided by The Selby. 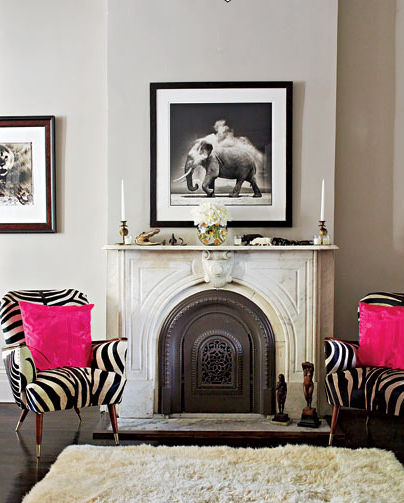 And just as a point of comparison, here we have Deb Lloyd’s living room accented with safari inspired textiles. 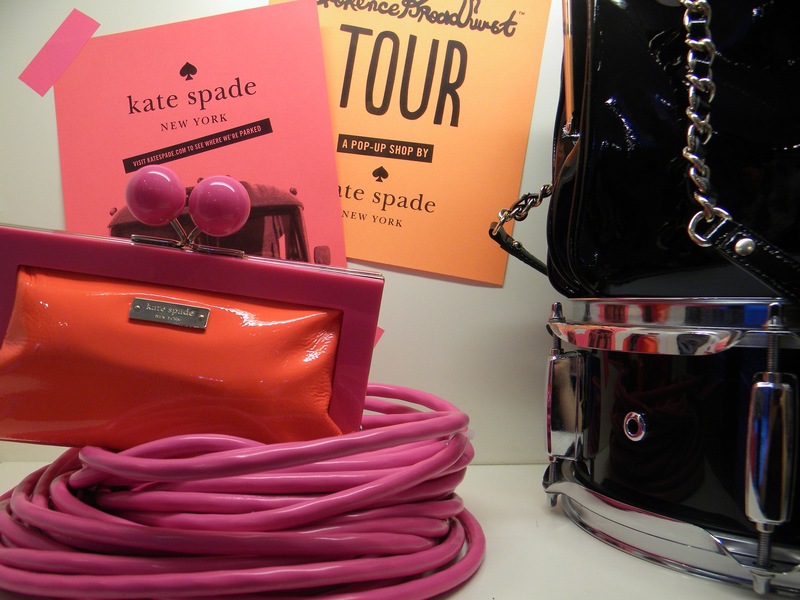 Lloyd is the creative director at Kate Spade. Image from Elle. Pair Neon Orange with Kelly Green with Cumin and Paprika Spice Hues with Lemon Citrus Yellow with Girly Pinks and every other color in the electromagnetic spectrum! Live with color! It it matches in the rainbow, it matches in your living room. It is amazing to see a designer who loves her color schemes so much that she employs them in her own home!